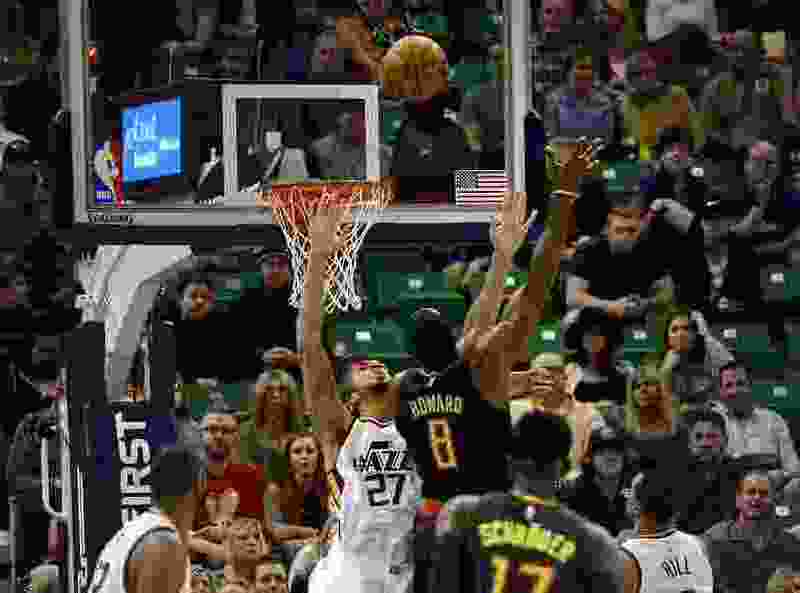 Scott Sommerdorf | The Salt Lake Tribune Utah Jazz center Rudy Gobert (27) defends against Atlanta Hawks center Dwight Howard (8) during first half play. The Jazz held a 40-30 lead over the Atlanta Hawks during first half play, Friday November 25, 2016. On this week’s episode of the Weekly Run podcast, hosts Andy Larsen and Tony Jones have some NBA things to discuss. In particular, the Jazz’s NBA2K ratings have drawn our ire. We also discuss the Houston/Phoenix trade, and how it impacts the Western Conference, and we briefly chat about Jazz assistant general manager Justin Zanik’s candidacy for the Philadelphia GM job, before moving on to questions of legacy: how does Manu Ginobili compare to Dirk Nowitzki? And how does prime Dwight Howard compare to Rudy Gobert? At 1:45 • How did avid gamer Tony respond to the Jazz’s NBA2K ratings? At 8:15 • How does the trade between Houston and Phoenix change those two teams and the West? At 20:39 • Justin Zanik is a candidate for the Philly job. What impact does he have on the FO? At 24:20 • The Jazz are getting 6 jerseys next year, including a purple throwback jersey. Is that too many? At 30:00 • Manu Ginobili retired. What’s his legacy? At 36:10 • Tony has beef with those saying Rudy Robert is better than prime Dwight Howard.